Tannic Acid, Iron, and Chlorine Removal by Ozone Pure Water Inc.
Keep your water rid of things like tannic acid with an Ozone Pure Water Inc. system. Tannic acid in your water can leave stains on your fixtures and clothing and leave residue in your plumbing system. Ozone Pure Water Inc.’s water treatment systems can remove the tannic acid from your water, leaving a clear, nonharmful stream right from your faucet. 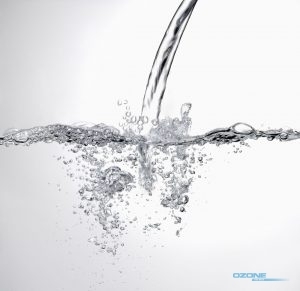 To find out how a water treatment system from Ozone Pure Water can improve the quality of your home or office water, call our professionals at 1.800.633.8469 today. Tannic Acid (Tannins) is a by-product of subterranean decayed vegetation. Tannins (clear yellow colored water similar to urine) can cause yellowish stains on fixtures, clothing, washers, virtually anything the water contacts. It can also leave a residue in the piping, and the stains/residue are similar but not exactly like iron. Tannic acid can appear in color from slightly yellow to dark tan/brown. Organic iron (not to be confused with iron bacteria) is the combination of tannins + iron. Organic iron is removed when the tannins are removed. Organic iron can pass through most filter media and cartridge filters, even when oxidized. Therefore, the removal of tannins is paramount in order to achieve complete iron removal. Typically, the organic iron level will be 50%-100% of the tannin level. Therefore, it’s critical to have an accurate tannin ppm value. What is used to eliminate Tannins? Tannins can be removed using our special color removal media: Tannin Resin (TR). The TR is practically permanent. The TR can be used when oxidized iron is present. The TR removal media is a salt-based regeneration similar to a water softener. Almost always TR can be placed inside a standard water softener resin tank. There are occasions when combining the 2 resins is not recommended. In this case, the GAC4 cartridge filter is used with complete success. Discover what’s hiding in your water system with a free water test by Ozone Pure Water Inc.
GAC4 Filter: 7.5” x 22”, wall mounted, 1” MPT inlet/outlet. This filter will remove up to 5 ppm chlorine for over 100,000 gallons. This equates to typically a once per year change. The GAC4 can also remove up to 2 ppm of Tannic Acid. Ozone Pure Water Inc. offers tannic acid and organic iron testing as well as removal verification. We need 16oz of raw water so we can select the proper filtration for you. Follow the directions on the Water Testing page. If you have any questions, call one of our consultants at 1.800.633.8469. Updated on December 20, 2018 at 6:01 pm by Ozone Pure Water.